Blogging is not a thing which can be done over nightly. Lots of efforts are required to run a blog and, even more, to make it successful. The very first thing of starting a blog is to select the niche which interests you and at the same time is unique on the internet. After going through the process of choosing a niche for the blog, many end up in the different one. Fashion niche is one among them which is getting interest from both bloggers and readers. Chances are that you too choose this niche for your blog. If it so, then you are at right place. We are here to help every fashion blogger. By name, fashion blogger is simply a person who writes a fashion blog. Fashion blog might look concise in name, but the reality is totally different. It is a very wide niche. It needs to cover all the trends of clothing and accessories. It needs to be updated regularly with apparel market and the fashion of celebrities. That too from all level of fashion, from traditional fashion designer to large fashion designing houses. A fashion blogger is not limited to write on wearables only, he or she can also write “How to” types articles as well in which they can discuss clothing fit, general knowledge of clothing care and wear along with color matching and complimenting. Starting a fashion blog is a good when this niche has come across all your filters. There are a number of reasons why running a fashion blog is a good option. Firstly, it is the ever trending niche. There will be a tremendous number of fashion blog viewers around the globe in every era. Secondly, not everyone is able to run a blog of this niche which requires around the clock updates a wide range of branches, each of which needs to be maintained. So, if you succeeded in running blog of this niche, for which webtexttool will help you, chances are that you will grab a good fraction of fashion blog viewers. Another reason is that this niche is full of interesting work. Almost every one of you will be interested in fashion and following your favorite celebrities. Blogging on this will surely reflect your enthusiasm. Now that you selected a niche for yourself, your next question probably will be how to start a fashion blog. Webtexttool comes to your help again. To be a good fashion blogger, one really needs to work hard and smart, right from the beginning. Following is quick step by step guide to help you get started. Name Your Domain: Buy yourself an attractive domain name related to your niche. Hire a Web Designer: The design of your blog really matters to your viewers. It shows how professional you are in your work. Make a simple and attractive design of your blog. A professional web designer will be a good option unless you yourself are one. Buy yourself a Good Camera: Don’t even think of using a low spec camera for your shootout. From blog design to content, you need to show professionalism. Low-quality images in fashion blog definitely mean low-quality content. It is better, rather I will say must to buy a high-spec DSLR for the purpose. Be Consistent: Being consistent is a vital factor for the success, not only for a fashion blog but for every work. Maintain a feasible and efficient content calendar for your blog and follow it consistently even after success. 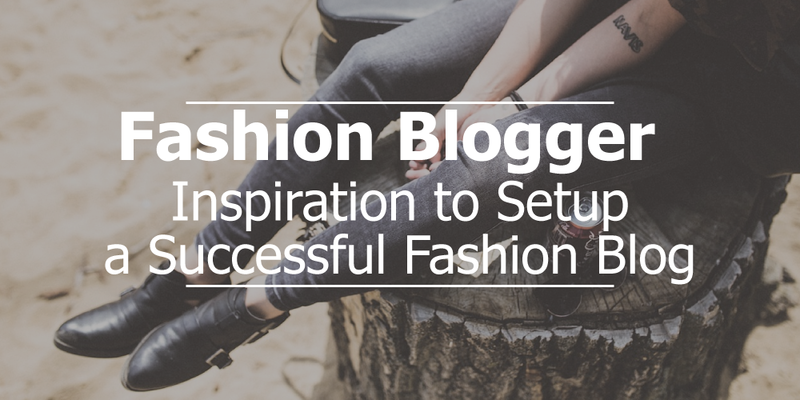 Guess what if you got all things done which are required for the successfully running of a fashion, but is your blog not visible to the potential visitors? You will get nothing out of your hard work! I hope you know by now that SEO is the tool to make your blog visible. You have done your part of hard work now it is time for webtexttool to help you make your blog easily reachable.